Summaria Lun Gallery mounted a solo exhibition of Korean artist Yun-Kyung Jeong’s works to inaugurate their new space at 36 South Molton Lane, Mayfair, London (UK). “Axonometric” was a May to June 2011 showing of the artist’s geometric paintings, which tinker with and skew perspective. 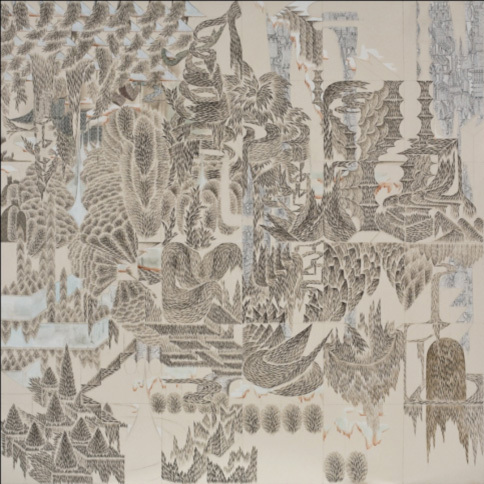 Yun-Kyung Jeong, 'Axonometric Jungle', 2010, acrylic on fabric, 90 cm x 90 cm. Image courtesy of Sumarria Lun. Yun-Kyung Jeong is a graduate of Ewha University (Seoul, Korea), Slade School of Fine Art and Goldsmiths. She has shown in the UK and Korea and has been the recipient of a number of awards including the Renaissance Art Prize and the Foster Fletcher Prize, both awarded in 2008. 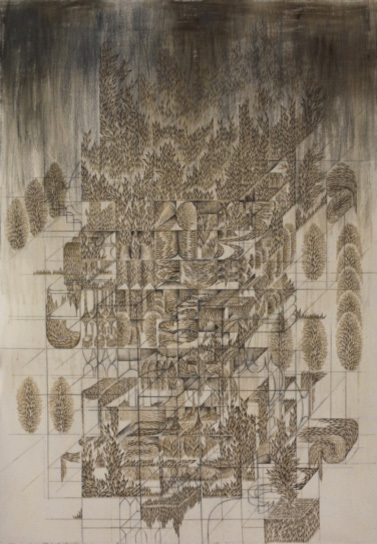 Yun-Kyung Jeong, 'Axonometric Jungle', 2011, acrylic on canvas, 120 cm x 120 cm. Image courtesy Sumarria Lun. …An invaluable tool for engineers, axonometric projection involves showing an object or structure in orthographic projection; foreshortening each plane of the viewing surface so they can be observed in relation to one another. With a power to fortify our perception of the world around us, in its most basic form axonometric perspective taps into our desire to see more, touch more, experience more. While much of Yun Kyung Jeong’s work draws on the application of axonometry it is this broader motivation to unveil new realms to the viewer that can be found throughout her work. These are landscapes, but in the loosest sense of the word. With a blue-print type aesthetic, Jeong’s works aim, through planning and ruminating, to convey the perception of what is ideal. 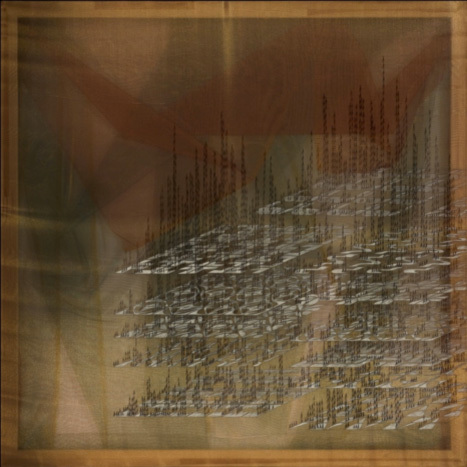 Each work can thus be seen as a representation of a particular utopia. 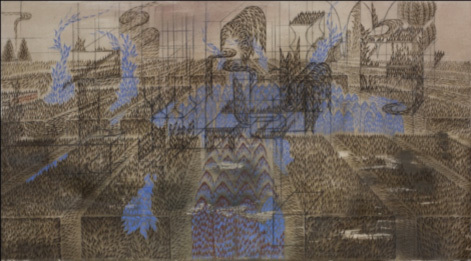 Yun-Kyung Jeong, 'Axonometric Jungle', 2011, acrylic on canvas, 250 cm x 150 cm. Image courtesy Sumarria Lun. Yun-Kyung Jeong, 'Piece 2', 2010, 160 cm x 130 cm, digital print and acrylic on microfibre. Image courtesy Sumarria Lun. 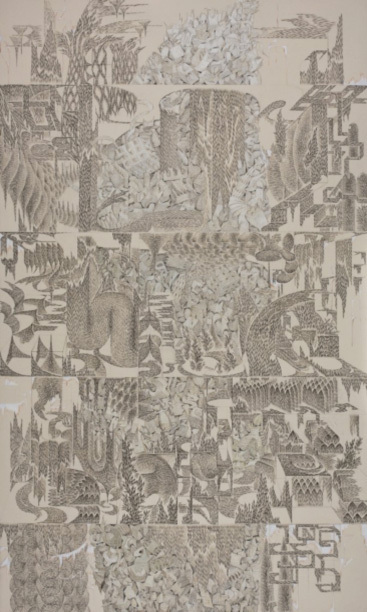 Yun-Kyung Jeong, 'Axonometric Jungle', 2009, acrylic on fabric, 130 cm x 90 cm. Image courtesy Sumarria Lun. 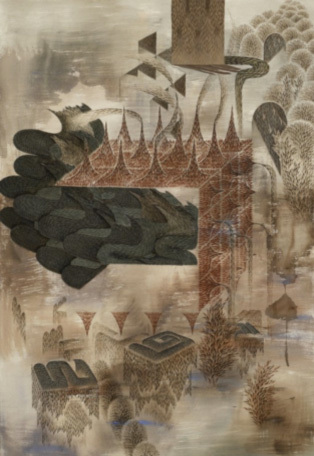 Yun-Kyung Jeong, 'Constructing Jungle', 2010, acrylic on fabric, 250 cm x 150 cm. Image courtesy Sumarria Lun. 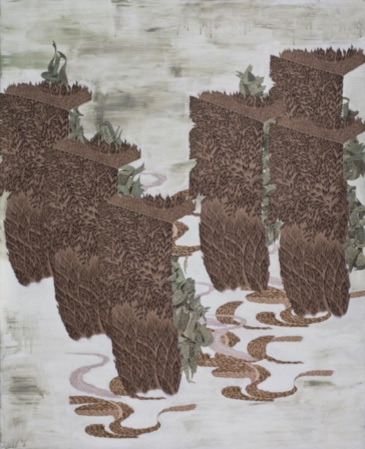 Yun-Kyung Jeong, 'Symbiotic Composition', 2010, acrylic on fabric, 90 cm x 50 cm. Image courtesy Sumarria Lun. 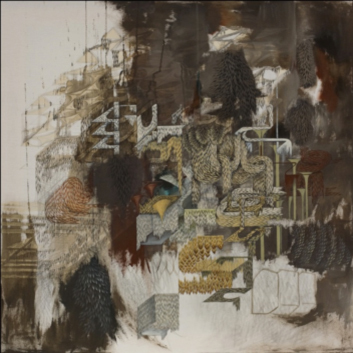 Yun-Kyung Jeong, 'Vista Tower', 2010, acrylic on silk, 90 x 90 cm. Image courtesy Sumarria Lun. Yun-Kyung Jeong, 'Constructing Jungle', 2011, acrylic on canvas, 120 cm x 120 cm. Image courtesy Sumarria Lun. 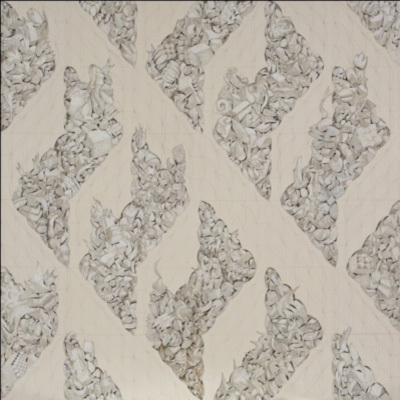 Yun-Kyung Jeong, 'Allotropy', 2009, acrylic on fabric, 120 cm x 90 cm. Image courtesy Sumarria Lun. 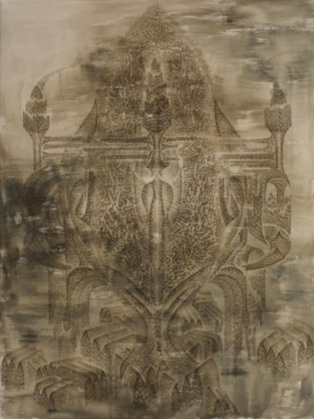 Yun-Kyung Jeong, 'The Disintegration of Pine Tree', 2010, acrylic on fabric, 130 cm x 90 cm. Image courtesy Sumarria Lun. 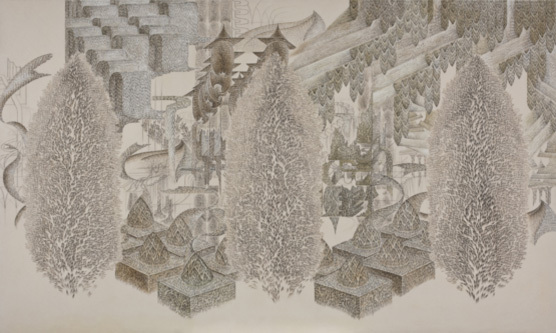 Korean artist Yun-Kyung Jeong’s solo exhibition ”Axonometric” was held until 4 June, 2011, at London’s Summaria Lun Gallery.